Experience hectic battle royale on the Southeast Asian island on new experimental servers this week. The PUBG train keeps on rolling, today bringing news on the Southeast Asian island map known as Codename: Savage. The compact map was first teased back at GDC by creative director Brendan Greene (aka PlayerUnknown) and promised faster, more hectic action than the other large maps available in PUBG. Early access to the new map was limited to the PUBG: Closed Experimental Server, a special Steam entry that required a special product key to unlock. This morning, developer Bluehole announced that the map be will be renamed Sanhok (pronounced “sah-nok”) and will be open to all for testing on the new PUBG: Experimental Server. First, the Thai word for “fun:” (word cannot be written here thanks to the website CMS) pronouced "sah-nook"
To make sure you are ready for fun chicken, check in with your Steam library periodically, as the Experimental Server download should appear in the library of every PUBG owner on Steam. 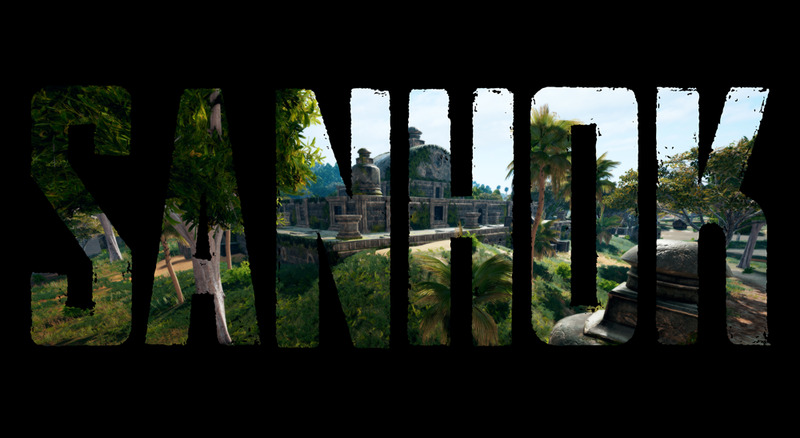 If the name Sanhok doesn’t do it for you, you still have a chance to help name the Abandoned Resort section of the map.